The book presents Tagore's approach into the realm of education and art right from the inception of Santiniketan in 1901. A strong critic of specialisation, he expoused maintaining of the unity and harmony of humankind with its social atmosphere and nature-the universe as a while. Originally published in Hindi, the English translation has been done by the author himself. 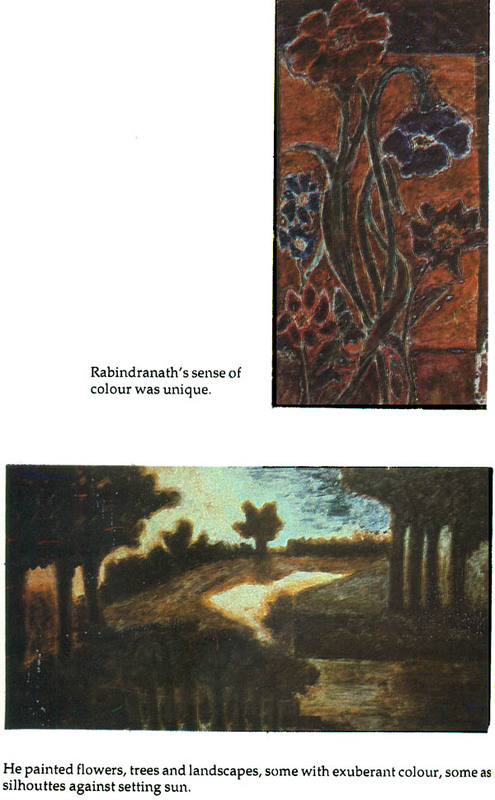 Shri Devi Prasad, a student of Santiniketan, had been a close witness to Tagore's creativity as a painter. As an art instructor at Sevagram Institute of Education, he worked with teachers and children of all ages and wrote the original Hindi edition of Art: the Basis of Education, based on his fifteen years of experience in that field. He has been a visiting professor at Visva-Bharati, Haverford and Bryn Mawr colleges (USA) and has several publications to his credit namely, Gramdan : The Land Revolution of India, Peace Education or Education ofr Peace etc. I am delighted to present to the readers this book by Devi Prasad on Rabindranath Tagore's ideas on education and on his paintings. 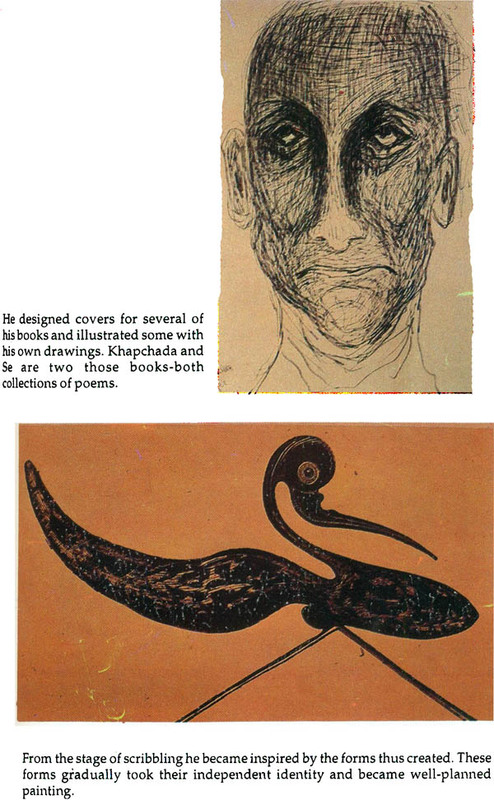 Devi Prasad was a student of Santiniketan and is himself an artist and an educationist. He has been in close contact with Gurudev's educational experiments. He also had the opportunity to see the poet also as a painter. Later Devi Prasad came in contact with Mahatma Gandhi and joined his team experimenting with educational scheme - Nayee Talim. Along with the educational work he also helped in the field of rural handicrafts. After Mahatma Gandhi' death Devi Prasad dedicated himself to the work for international peace and nonviolence, living in London. He became known in several international organisations and gatherings. After ten years of concentrated work for peace, he started his own ceramic studio while still working for the peace movement for another ten years. He, therefore, is an authority on the thoughts and work of Gurudev Rabindranath and Mahatma Gandhi. This book was written in Hindi and first published in Hindi. We hope to have it translated in other Indian languages also. We are grateful to Devi Prasad for this, his very important, contribution. 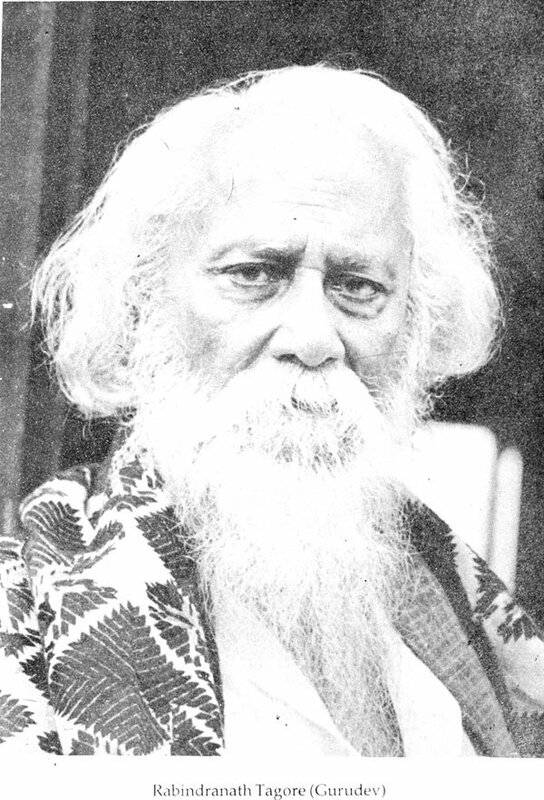 Rabindranath Tagore's centenary was observed in the year 1961. At that time I was editing Nayee Talim, in Hindi, the official journal of the Hindustani Talimi Sangh, which was founded by Mahatma Gandhi to workout his scheme for the total reconstruction of the Educational system which India has inherited from the British Raj. 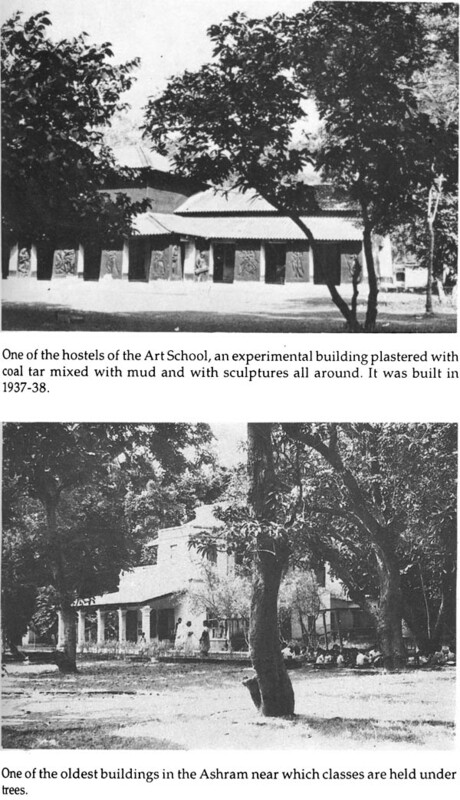 In 1901 Rabindranath had already started his school, which he called Santiniketan (abode of peace). 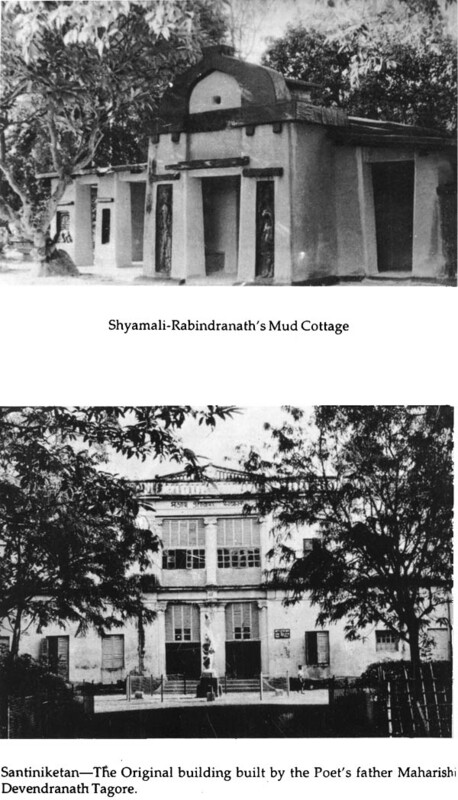 When Mahatma Gandhi's South Africa Family returned to India in 1915 Rabindranath gave them a home in Santiniketan, where they stayed for some time. Mahatma Gandhi was also there for about a month. It shows that the two had great respect for each other and they both helped each other in their endeavours for the rejuvenation of the social and political life of their country. The mutual trust they both had on each other can be understood by the fact that when in 1941, a few months before the death of Rabindranath, Mahatma Gandhi went to Santiniketan to see him the poet requested Mahatma Gandhi that from that time onwards he should look after the Institution, which, according to Rabindranath himself, was the dearest gift he could give to his country. It was a very moving occasion, and I was fortunate to have been there at that time. Ashadevi Aryanayakam and Edmund William Aryanayakam, were the Assistant Secretary and Secretary of the Hindustani Talimi Sangh from the day : of its foundation in 1937. When I joined Sevagram in 1944 I was very happy to learn that the couple had long time personal experience with Rabindranath. That made a team of three Santiniketanites, who tried to bring the ideas of Rabindranath into Nayee Talim, Mahatma Gandhi's scheme of education. 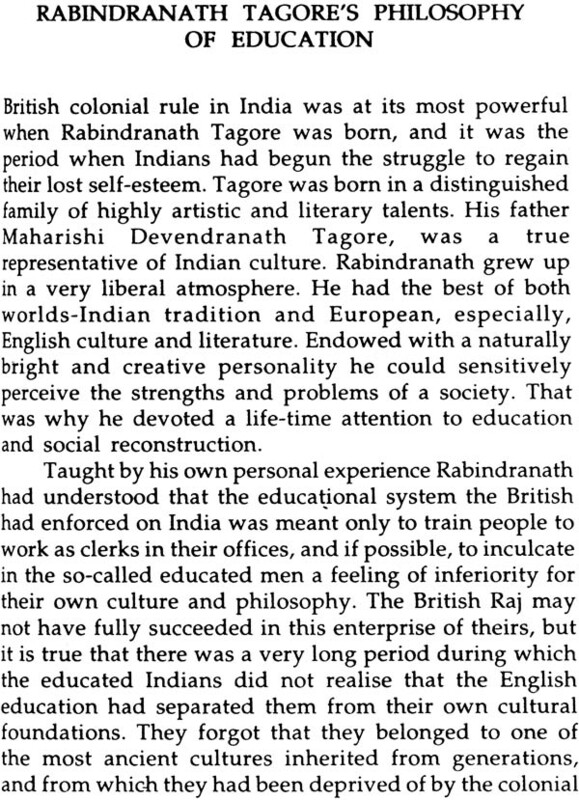 The year 1961, which was Gurudev's centenary year was an appropriate occasion to learn more about Rabindranath and his work. Along with other programmes, we decided to bring out a special issue of the journal Nayee Talim. I solicited articles from people who had either worked with Rabindranath or were specialists in several fields related to him. 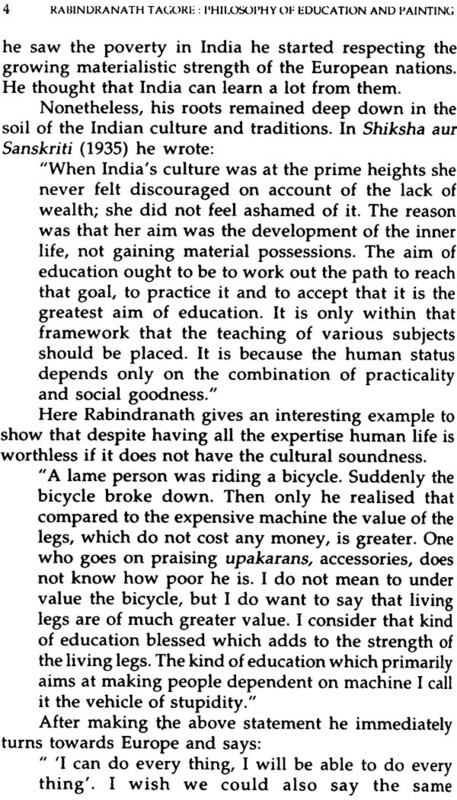 It proved useful; equally useful it proved in 1985-86, when Rabindranath's 125th birth anniversary was to be celebrated. 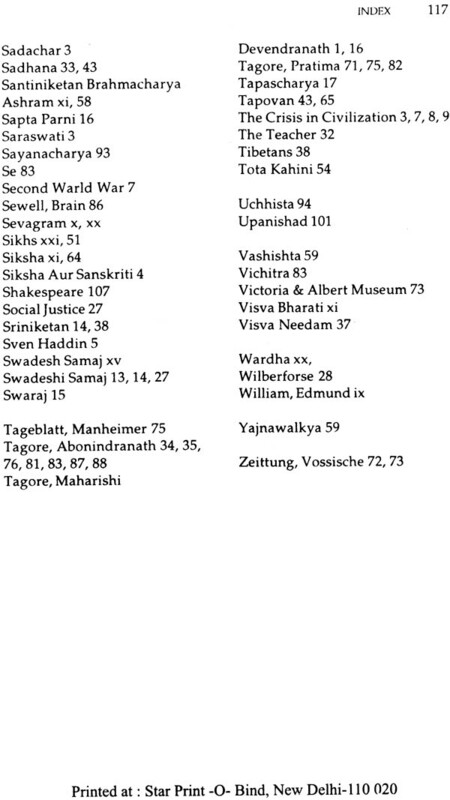 When, one day I was looking into the piles of myoid files, I came across a copy of that special issue of Nayee Talim. I immediately associated it with the forthcoming celebrations, and thought of making further use of the work we had done in putting out that special issue of the journal twenty-five years ago. In addition to other articles in that issue of Nayee Talim, there was special attention given to the educational work and the paintings of Rabindranath. I mentioned my idea to Krishna Kripalani who was then the Chairman of National Book Trust. He saw the old issue of Nayee Talim with much interest and suggested that I should work on it and prepare a small book which could be published by the National Book Trust. After going through it again I realised that as it was or even if re-edited and slightly enlarged it will not be adequate in the present context. I thought of doing the whole thing afresh and decided to write it in two parts, one on Rabindranath's educational work and the other on his art of painting. There was another idea that came to my mind. I thought that it would not be sufficient to give only my own understanding of Rabindranath. I must include in it some of his own writings too, hopefully to strengthen the basis on which I have tried to deal with the subjects. 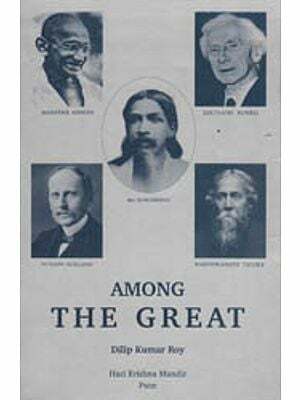 There are four important books of Rabindranath which deal with the various questions related to education. He wrote essays and articles on education, many of which were published as collections. 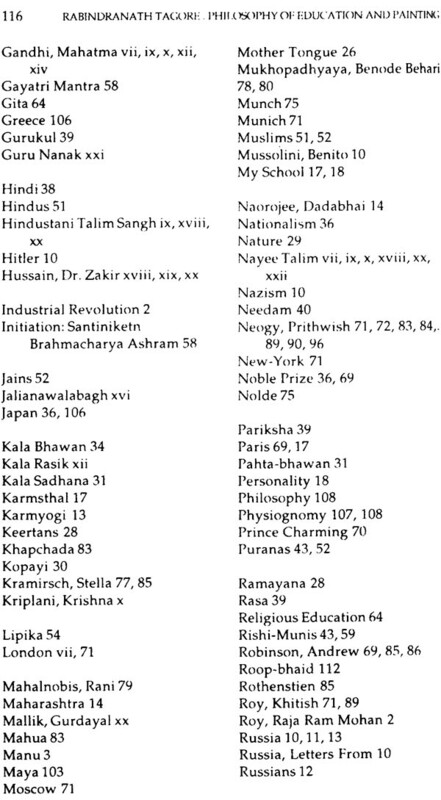 The most important among them is Shiksha, first published in 1908 with 7 essays and later with 23. 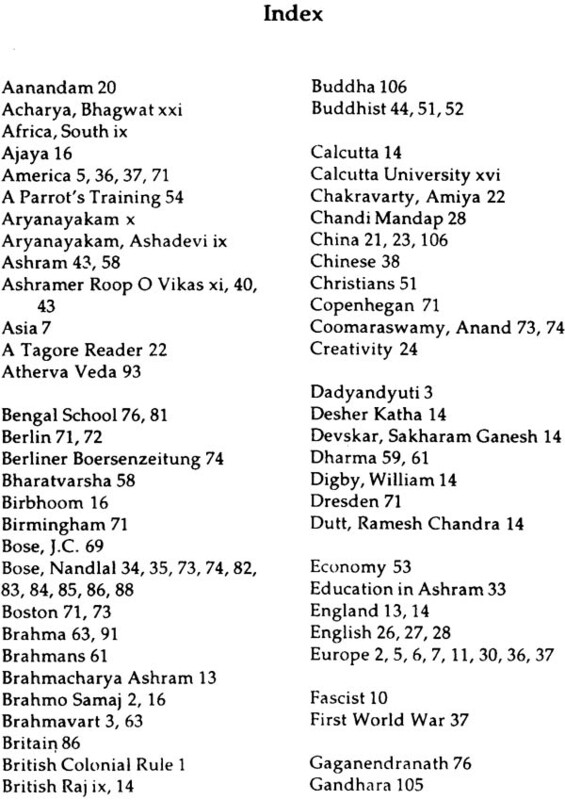 The other three are Santiniketan Brahmacharya Ashram, Ashramer Roop O Vikas (The Ashram and its growth), and Visva- Bharati. Apart from these writings there are well over a hundred essays, some delivered as lectures in various parts of the world, articles published in journals and magazines in Bengali, English and a few other languages: The most important in English language, I should mention here, is My School, a talk given in the US. The writings of Rabindranath cover a great range of subjects. 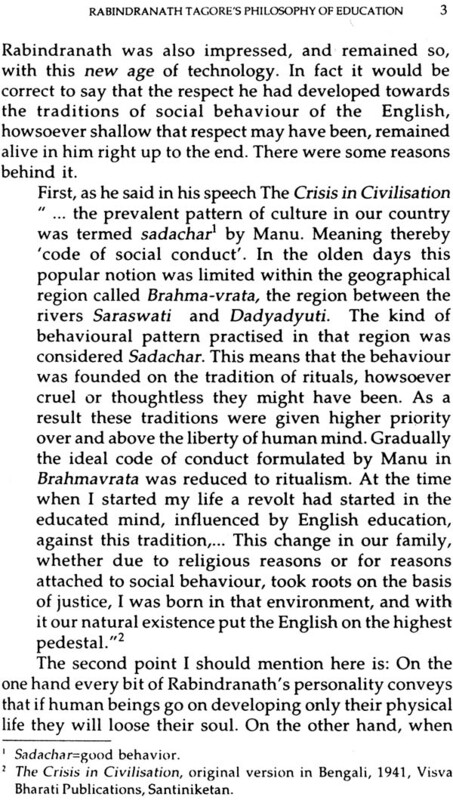 His writings on education deal with all levels, rural and urban, individual as well as community oriented. Many of his poems are also of much relevance educationally. The present work is just an introduction to his educational ideas and the way he tried to implement them. I have also included some exracts from some of his own essays on education, with the hope that' it will help in understanding his educational philosophy. A Parrot's Training is the sharpest commentary in the form of a roopak, one can imagine, on the present system of education in our country. 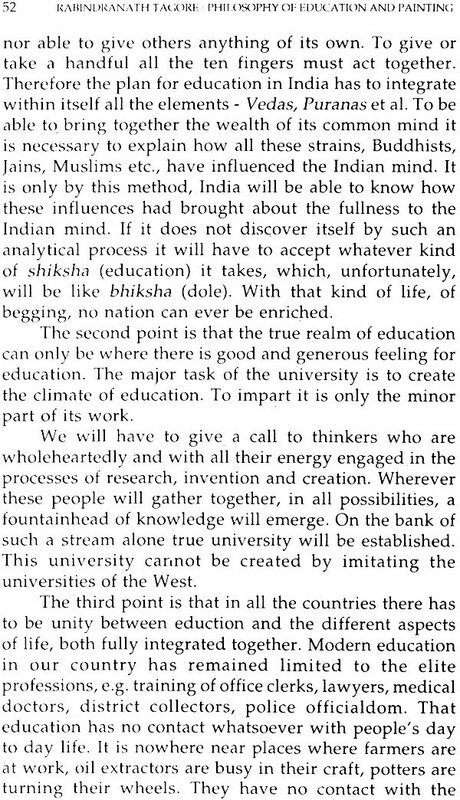 It shows how deeply he understood the real problems of the educational practices at all the levels in our country. I Gurudev was one of the most important painters of the twentieth century India. He is not as widely known as a painter as he is as a great literary personality and a philosopher. I felt that at the time of his 125th birth anniversary celebrations, people should also be reminded of his genius as a painter, hence the second part of the book is on his art of painting. His ideas about art and his interpretations on the relationship between art, the artist and the kala rasik - art lover - are uniquely profound and of fundamental value. I decided to include a couple or so essays from his writings on the subject. I hope the readers will accept this book as my homage to Gurudev who has so much to teach the world of today.